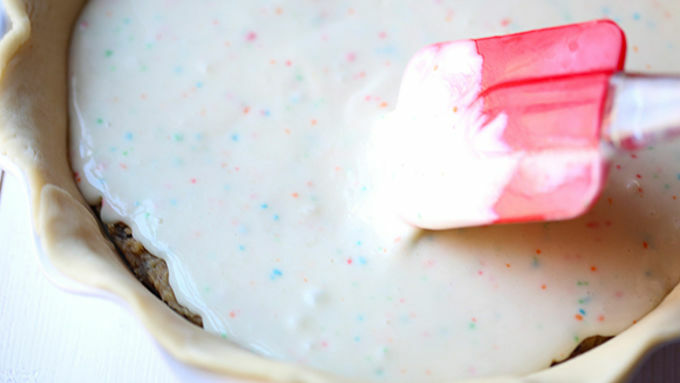 Frost each with one tub of vanilla frosting. Garnish with sprinkles if desired. Slice and serve! It’s a cake! It’s a cookie! It’s a pie! It’s ALL THREE! Ever have those days when you’re craving a sweet dessert, but can’t decide what to make? 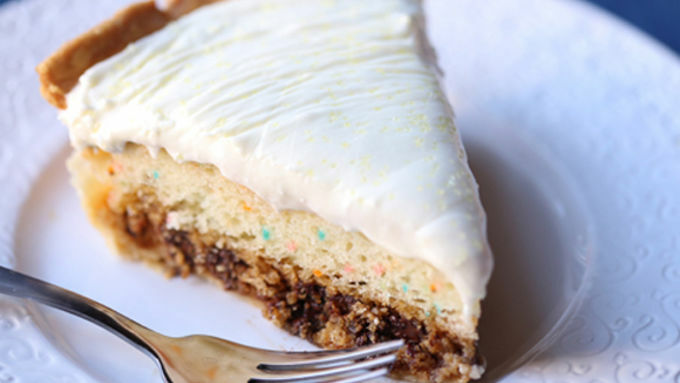 Well, this Cookie Cake Pie recipe is sure to satisfy just about every craving…and more! I found this awesomely delish idea over at Smocked Auctions and knew I had to give it a try. 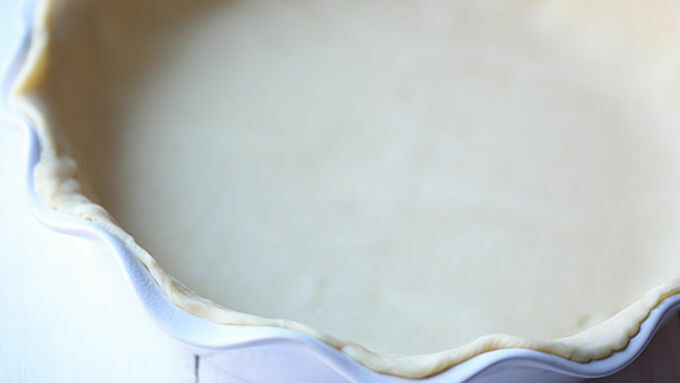 And when I used Betty Crocker mixes and Pillsbury refrigerated pie crust, this version came together even quicker and easier! 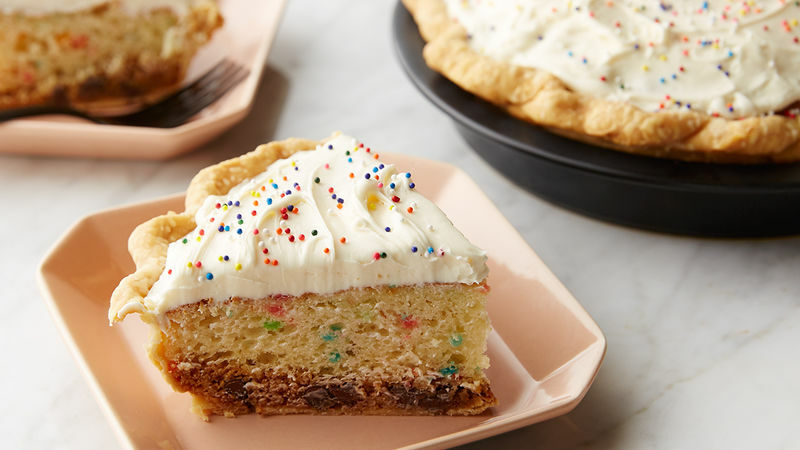 With a layer of chocolate chip cookie dough, rainbow chip cake mix, and sweet vanilla frosting – all situated on a flaky pre-made pie crust – this dessert has a little something for everyone to enjoy! And I should note that this recipe makes two pies. Yes, two. One for you, and one to share. Or two for you! Easy to assemble and bake. Then just slice and serve! So you've got a sweet tooth, huh? 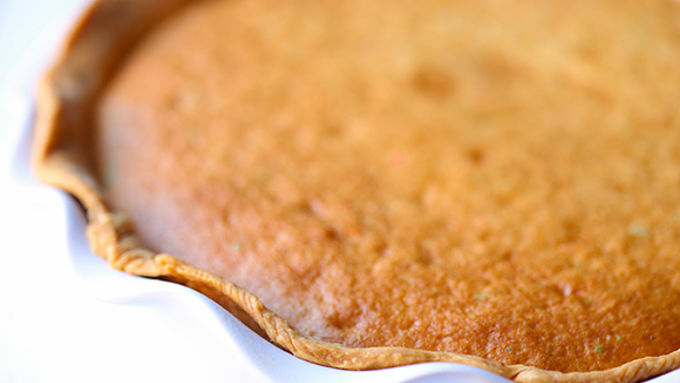 We can help with that with these incredible pie recipes!